What's one way to get a commuter bus through gridlocked traffic? Build one that can glide over cars, of course. 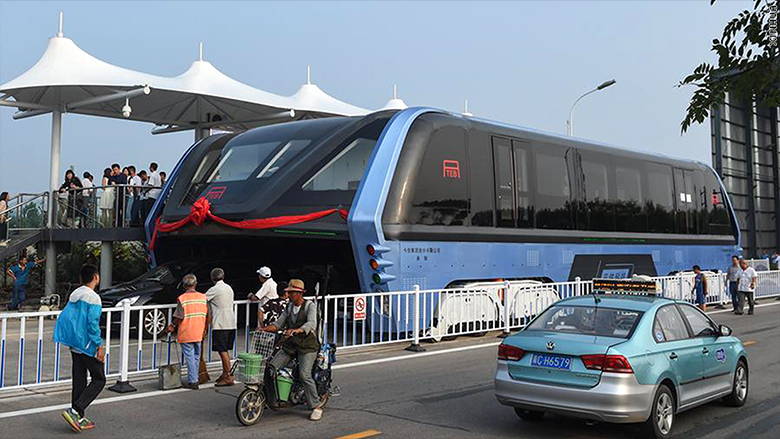 China has completed the first real-world test of its Transit Elevated Bus concept (TEB), which made headlines this spring for its innovative design. The electricity-powered vehicle straddles the highway over two lanes and allows cars to pass underneath. The testing of its brake and power systems took place on Tuesday in Qinhuangdao, a port city in northeast China. The TEB concept is designed to help China alleviate some of its massive traffic problems. 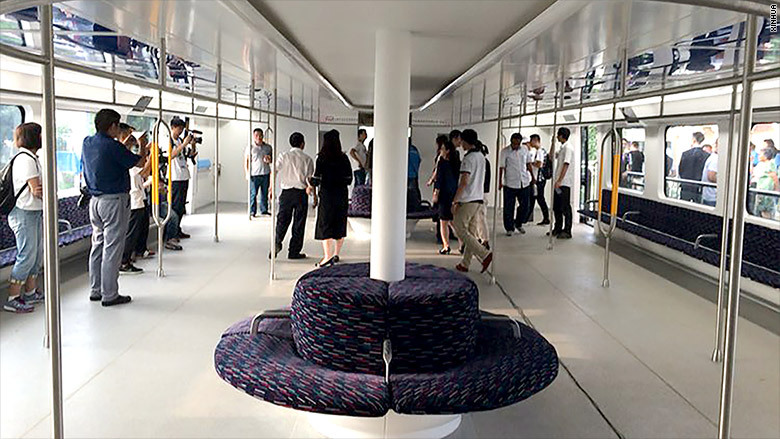 By combining two methods of transportation, the hybrid light-rail train and bus would transport large numbers of people inside its carriages while letting cars pass underneath. The developers believe this method would be more efficient, in terms of speed and overall cost, than building a subway system. Because the TEB is powered by electricity, the transportation system could also help the country cut down on air pollution. 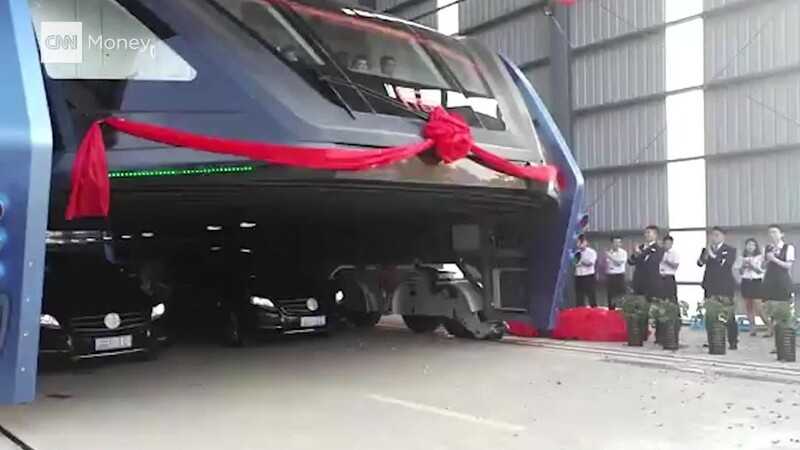 At about 72-feet long, 26-feet wide, and 16-feet high, a single cabin can transport up to 300 people, according to China's official news agency Xinhua. TEB can hold up to 300 people. The interior is designed with seats along the sides and curved sectionals in the middle of the car. Handrails line the roof of the cabin, and there are standing poles throughout. While a similar concept was pitched back in 2010, it was re-proposed in May at the 19th China Beijing International High-Tech exposition held in the country's capital. It's unclear if or when more trains like this will be deployed in the country -- and how much the project will cost.